Turmoil in the equity market helped spur the technical pullback in the dollar we anticipated. The greenback finished the week on a firm note as equities stabilized. 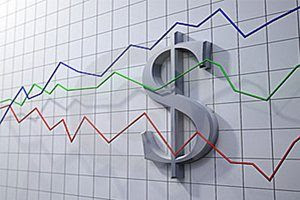 The technical indicators, which signaled the likely correction, have not turned in the dollar's favor, but the price action itself was more constructive. Dramatic equity market losses weighed on the dollar, and the Canadian dollar, arguably because it would more likely impact their respective central banks which are expected to hike rates again here in Q4. Given the modest economic calendar, equity market developments may have greater impact on the dollar fortunes than may usually be the case. Dollar Index: Technical support near 95.00 was frayed by it did not close below there. The area corresponds to the 50% retracement of the last leg up that began on September 21. The 20- and 100-day moving averages are found near there (~94.95 and ~94.85 respectively). The 96.00 area is the nearby cap. It has seen minor intraday penetration, but here too it failed to confirm the breakout at the close. The mixed technical indicators do not give much hope of a sustained break from this range in the days ahead. Euro: The gains in the euro stalled ahead of technical resistance seen in the $1.1625-$1.1630 area, which corresponds to the 100-day moving average, the month's high and the 50% retracement of the euro's decline from the September 24 high above $1.1800. Support now is seen in the $1.1500-$1.1520 area. The technical indicators remain somewhat constructive for the euro, suggesting broad consolidation may be the most likely scenario. Yen: The dollar has fallen against the yen for seven consecutive sessions. It is the longest declining streak since March of last year when over an eight-session period, the dollar fell from near JPY115 to about JPY110.60. During this streak, the dollar has fallen from a JPY114.50 to close to JPY111.80, where the 50-day moving average is found. The technical indicators give no reason to think that a dollar bottom is in place yet. Initial risk extends toward JPY111.30-JPY111.50. A move above JPY112.50 would begin neutralizing the negative technical condition. Sterling: Sterling posted an ugly downside reversal ahead of the weekend. After reaching its best level since September 21, sterling met a wall of sellers that sent it back through the previous day's low. The close was poor and the outside down day likely marks the end of the near-term advance, just like the outside up day on October 4 signaled this advance. Initial support is seen a little below $1.31. Follow-though losses early next week may leave bearish divergences in RSI and MACDs. Trendline support connecting the August, September, and October lows comes is near $1.2985 at the of next week. Canadian Dollar: The only major currency to lose ground against the US dollar last week was the Canadian dollar. It was the second consecutive weekly advance for the greenback. It approached the late September high near CAD1.3080 in an outside up day in the middle of the week before consolidating. Support is pegged in the CAD1.2980-CAD1.3000 area. The technical indicators suggest the US dollar can extend its recent gains. Above the recent highs, the next obvious objective is CAD1.32. Australian dollar: The Antipodean currencies trailed a little behind the yen as the best performers among the major currencies last week. The New Zealand dollar gained almost 1.2% while the Australian dollar rose 1.1%. We had identified the Aussie as among the best risk-reward ways to play the anticipated greenback correction, the market's interest seemed sporadic. To post seven-day highs before the weekend, the market had to ignore the outside down day in the middle of the week, and even then close was near session lows. The technical indicators are trying to bottom, but a break of $0.7080 signals another leg down. The $0.7140-$0.7165 area mark the cap. Oil: The price of light sweet crude oil for November delivery fell 4.5% last week and is the largest drop since February. A strong build in US inventories and reports suggesting Saudi Arabia and Russia have boosted output weighed on prices. The August-September trendline (~$71.50) was violated as prices extended their retreat after reaching almost $77 a barrel on October 3. Support is seen in the $70.00-$70.30 area, and a break would open the door toward $68.75. 10-Year US Rates: The 10-year US yield fell from 3.26% on October 9 to 3.12%, which corresponds to the high in May and September before what appeared to be a breakout materialized at the start of this month. The dramatic fall in US stocks helped give the market a bid. The yield has declined for four consecutive sessions as the week began with a holiday. It is the longest such streak in three months, and it might not be over. The technical indicators of the December note futures are trying to turn up, and the next target is in the 118-20 to 119-01. That said, strong economic data next week (retail sales, industrial output, JOLTS) put a floor below yields. S&P 500: A six-day losing streak was broken before the weekend, as the S&P posted a 1.4% gain to closed above the below the 200-day moving average (~2766). Recall that on October 3, the S&P 500 peaked just shy of the record high set in late September near 2941. Last week's low was 2710.50. The next important technical level is about 2685.5, which is the 38.2% retracement of the rally from the February low and a break of it would be another blow to sentiment. The technical indicators have not turned, but they are poised to next week, suggesting that further losses will likely be limited. A bottom may very well be in place.